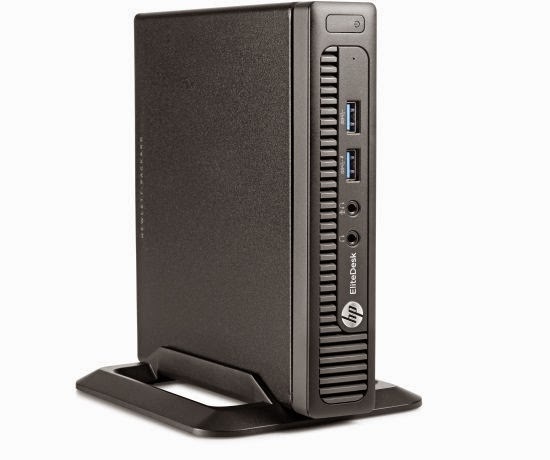 Mobile Health Computing: Win an HP EliteDesk 800 G1 Mini PC! Win an HP EliteDesk 800 G1 Mini PC! It's the last week of January, so to celebrate the end of a very special month, we're running a contest here on MobileHealthComputing.com and we're giving away a brand new HP EliteDesk 800 G1 Mini PC! The HP EliteDesk 800 G1 Mini PC is a tiny little PC that fits almost anywhere, but don't let it's miniature size fool you. It has the full computing horsepower of many modern workstations and it's an enterprise-class device that runs Windows 7 or Windows 8. The HP EliteDesk 800 G1 Mini PC comes with an integrated wireless antenna for Wi-Fi access and also supports multiple monitors. Notice how this computer has 3 total video ports on the back: 1 is standard VGA and 2 are DisplayPort with Multi-Stream video outputs. So, you could set up 3 separate monitors and plug them all into this single PC. 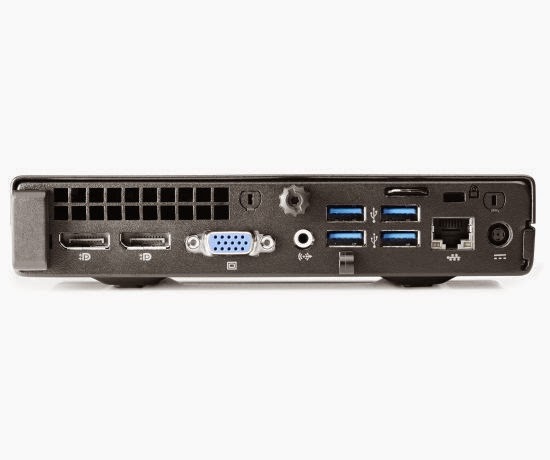 The EliteDesk 800 G1 Mini also has 4 USB ports on the back and 2 USB ports on the front. To win an HP EliteDesk 800 G1 Mini PC this week, share a few sentences (along with an optional photo or video) and explain how a tiny space-saving PC would improve your office workflow and productivity. Submit your entry via email to jkim@mobilehealthcomputing.com and make the subject line: HP EliteDesk 800 Contest. The contest here on MobileHealthComputing.com starts at 10 pm ET on Sunday January 25, 2015 and will end at 11:59 pm ET on Saturday January 31, 2015. The winner will be notified the week of February 1. You don't need to be a medical or health care professional to enter this contest here on MobileHealthComputing.com. We will accept one entry per household.